What's this? An aftershave lotion specially formulated for sensitive skin? 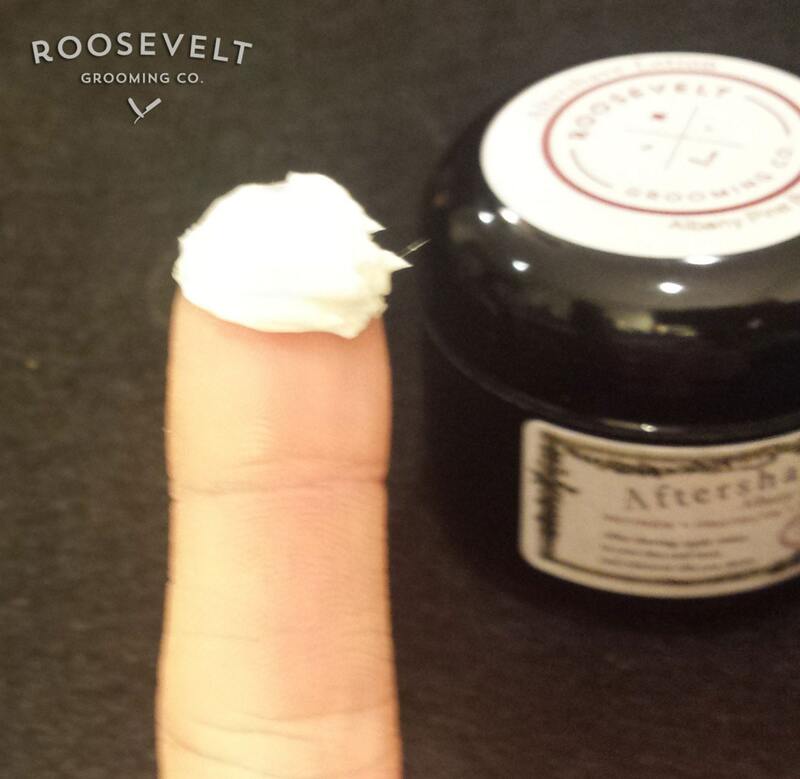 Something perfect for an extra shot of smooth, moisturizing goodness after every shave? With added tea tree oil to help healing and menthol-containing essential oils for a subtle cooling sensation? Enough questions! Yes! Yes to all of the above! 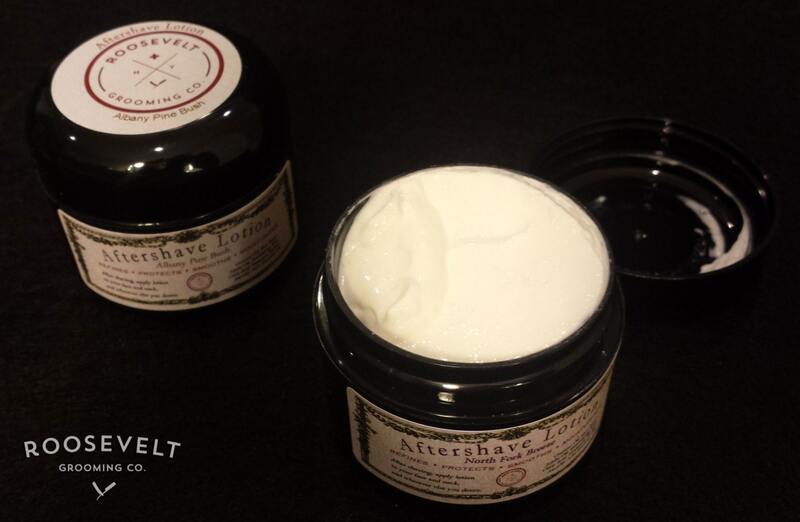 Our handcrafted aftershave lotion is just the thing you're looking for if you want the added smoothness and extra hydration that only a top-quality lotion can provide. We've chosen oils that are great for your skin, and added a touch of healing and cooling ingredients to provide a full spectrum of smooth, protective goodness. 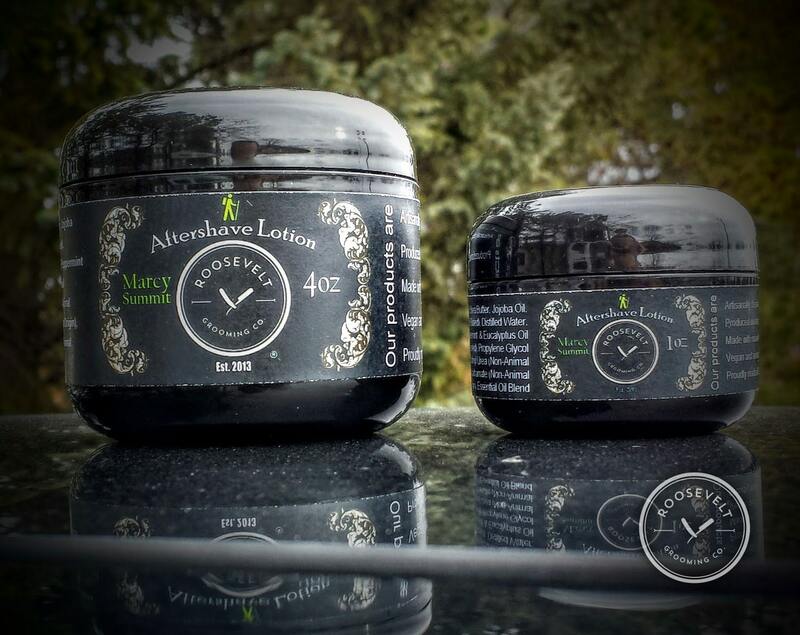 To top it off we've included a light scent using all-natural essential oils so you'll smell just as good as you feel. This is the experience you've been looking for. Propylene Glycol, Diazolidinyl Urea, Iodopropynyl Butylcarbamate - these three are used in very small amounts as a preservative. Without them you'd have to refrigerate your lotion to prevent the growth of mold and bacteria. But who wants to use an ice-cold lotion? All three preservatives are vegan too. 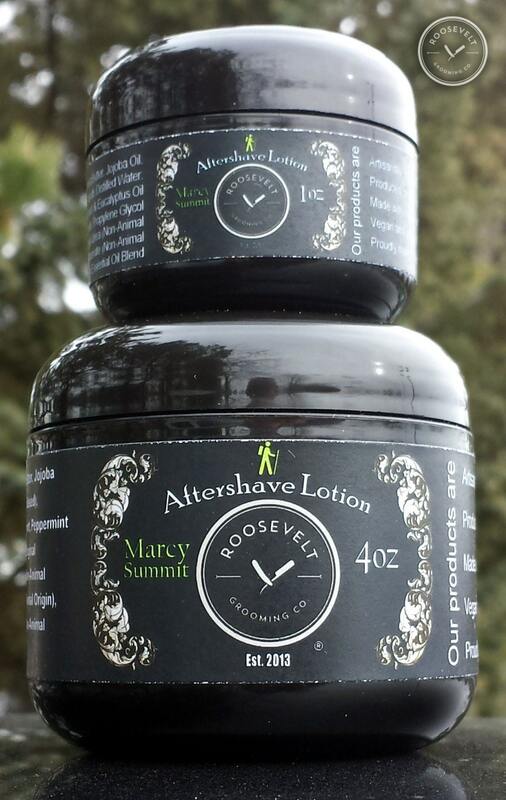 Our aftershave lotion comes in a 1 oz jar, 4 oz jar or 2 oz jar as shown. My husband absolutely loves his new face lotion! And the scent is very nice as well! I bought two of the face lotions as gifts for Christmas. The shop owner talked to me back and forth several times to help me decide on product AND scent- seriously such a helpful guy. Shipping was amazingly fast. I can't complain with my experience in any way. The recipients of the gifts absolutely LOVE what I ordered them. 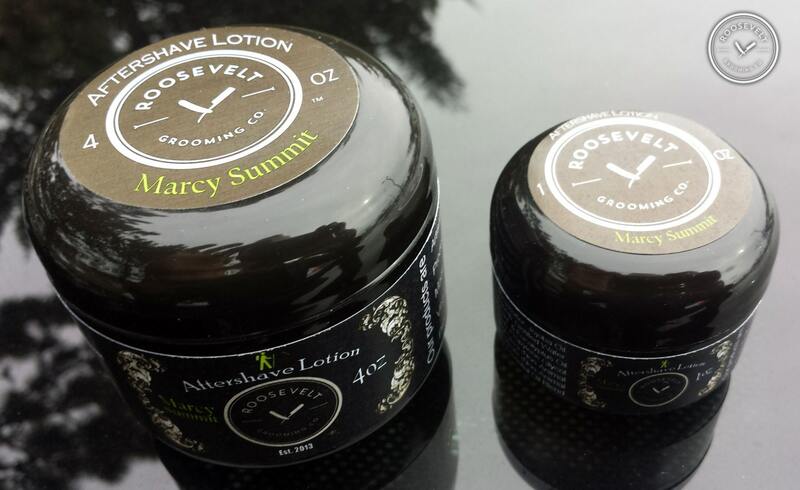 I just opened up the container of Marcy Summit after shave lotion/balm for the first time. It was really full and smelled great. But the best part was when I put a little dab on my hands and rubbed it on my freshly shaven face. I felt instant relief and noticed that my skin felt really good. Better than anything I've ever used before ! Thanks Adam, this stuff is great !! !